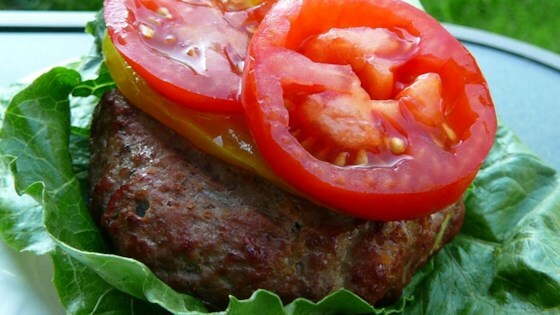 "Hamburgers made with a splash of Jack Daniels whiskey and some beer." Combine the ground beef, beer, Worcestershire sauce, whiskey, garlic powder, onion powder, salt, and pepper in a bowl; mix until evenly combined. Shape the mixture into 6 patties. Cook on the preheated grill until the burgers are cooked to your desired degree of doneness, 5 to 8 minutes per side for well done. An instant-read thermometer inserted into the center should read 160 degrees F (70 degrees C). These burgers were moist and juicy. Mixed all the ingredients and let sit in the fridge for about 4 hours. Washn't crazy with the flavor. I'll keep looking for better recipes. I made these for our 4th of July party and they were a smash hit! I still have guests calling me for the recipe!!! !